In a president’s waning years, he quickly sees Congress grow in power. The president is in Miami Friday to underscore the desperate need for repair of the nation’s infrastructure. He’ll highlight a proposal to boost investment in U.S. infrastructure and educating public leaders about the economy in the midst of broader policy battles in Washington. The tour will be of the Port of Miami tunnel project. The idea is to convince congressional leaders to siphon billions in taxpayer dollars into public road, bridge and other infrastructure projects. He has also proposed a “national infrastructure bank” and capitalizes it with $10 billion. It’s beginning to sound suspiciously like the 2009 Stimulus Bill that laid an egg and over $800 billion taxpayer dollars. There would also be “America Fast Forward Bonds” that would help state and local governments attract money for infrastructure projects. This is much akin to the spirit of War Bonds during World War Two. Direct subsidy bonds in which the issuer would receive a 28 percent subsidy of the borrowing cost as a way of attracting a wider set of investors. All brought to you by those that gave Solyndra $500 million (bankrupt) and the Stimulus Bill that ran toward a trillion in lost taxpayer monies. And don’t forget an additional $4 billion to support two programs that are used to provide grants for infrastructure projects like the Miami tunnel. Obama noted that some people on both sides of the political spectrum, such as labor unions and the Chamber of Commerce, had supported his infrastructure ideas. That would be two natural allies on this project. Ever since re-election, Obama has presented a policy push focused on passing both immigration reform and tighter gun control measures. One is yet to be determined and the other an abject failure. 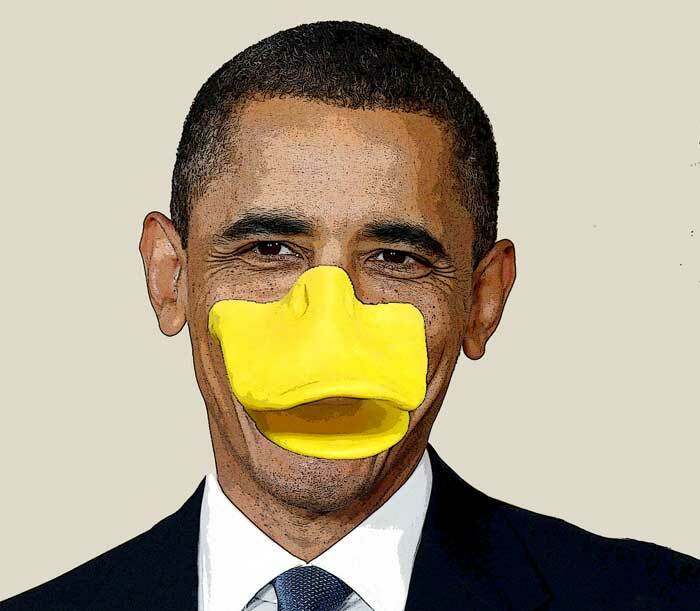 It seems the president is about to find out what “Lame Duck” means.